Background: 5% topical minoxidil solution has been widely used to stimulate new hair growth and help stop hair loss in men with androgenetic alopecia (AGA). However, it is not convenient for patients to continue applying the solution twice daily on a regular basis. Tretinoin is known to increase the percutaneous absorption of minoxidil and, therefore, to enhance the response of AGA to minoxidil. For this reason, it was assumed that tretinoin would be helpful in alleviating the inconvenience associated with the recommended twice-daily application of minoxidil. Objective: To compare the efficacy and safety of therapy using a combined solution of 5% minoxidil and 0.01% tretinoin once daily with those of the conventional 5% topical minoxidil therapy applied twice daily in the treatment of AGA. Methods: A total of 31 male patients (aged 28–45 years, mean 39.7 ± 4.5) with AGA (Hamilton-Norwood classification type III–V) were randomly assigned into two groups, one in which 5% minoxidil was applied to the scalp twice daily and the other in which the combined agent was applied once daily at night together with a vehicle placebo in the morning. The efficacy parameters were: (i) changes in total hair count, non-vellus hair count, anagen hair ratio, linear hair growth rate, and mean hair diameter assessed by macrophotographic image analysis; and (ii) the patient’s and investigator’s subjective assessments. Results: After therapy, increases in the macrophotographic variables of total hair count and non-vellus hair count were shown in both treatment groups. There were no statistically significant differences between the two treatment groups with respect to changes in macrophotographic variables or scores on subjective global assessments by patients and the investigator. The incidence of adverse effects such as pruritus or local irritation was similar in the 5% minoxidil group (4 of 14 subjects) and the combined agent group (5 of 15 subjects). 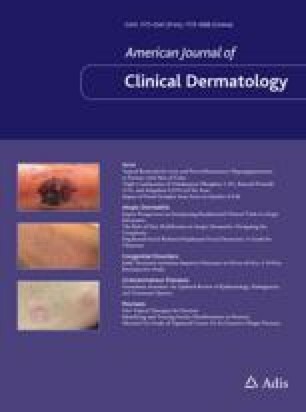 Conclusion: The efficacy and safety of combined 5% minoxidil and 0.01% tretinoin once-daily therapy appear to be equivalent to those of conventional 5% minoxidil twice-daily therapy for the treatment of AGA. This study was financially sponsored by AmorePacific R&D Center, Gyeonggi-do, Korea. The authors have no conflicts of interest that are directly relevant to the content of this study.